The CEO of T-Mobile just announced that they are canceling "Network Abusers". Those that are using so much data that it is impacting their network and other users on it. This week, I am taking aim at a select group of individuals who have actually been stealing data from T-Mobile. If their activities are left unchecked their actions could eventually have a negative effect on the experience of honest T-Mobile customers. Not on my watch. We’ve built the T-Mobile network to reach 290 million Americans with the fastest 4G LTE speeds around. We drive hard every day for our network to reach more people and to keep giving customers the fastest data speeds in the USA. I won’t let anyone jeopardize that. So we are going after a small group of users who are stealing data so blatantly and extremely that it is ridiculous. Congrats to Scott H. of Alamo, California who just won a $25.00 Restaurant.com gift code for writing a review for Pepwave Surf SOHO 3G/4G Router w/ WiFi as WAN Firmware 6.2.0 at 3Gstore.com! Every week we randomly pick one product review from the previous week and award the writer a $25.00 gift code. We appreciate ALL the reviews our customers write, whether they are positive or negative - honest reviews like Scott H.\'s help other customers decide if the product is right for them. After you purchase a product from 3Gstore.com, we encourage you to log in and 3Gstore.com and leave a review letting people know how the product worked for you - you'll be helping others, and you'll automatically be entered to win a restaurant.com gift code!. Congrats to Jerry D. of Aiken, South Carolina who just won a $25.00 Restaurant.com gift code for writing a review for 9.5" Outdoor Omni WiFi Antenna (2.4Ghz) - cable sold separately at 3Gstore.com! Every week we randomly pick one product review from the previous week and award the writer a $25.00 gift code. We appreciate ALL the reviews our customers write, whether they are positive or negative - honest reviews like Jerry D.\'s help other customers decide if the product is right for them. After you purchase a product from 3Gstore.com, we encourage you to log in and 3Gstore.com and leave a review letting people know how the product worked for you - you'll be helping others, and you'll automatically be entered to win a restaurant.com gift code!. 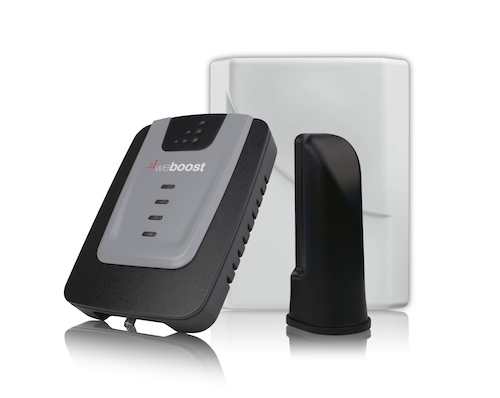 Save $40 off weBoost Home 4G (470101) Repeater Kit Through 9/5! weBoost's popular Home 4G Desktop Repeater Kit is on sale now at 3Gstore for just $359.99 (MSRP $399.99). 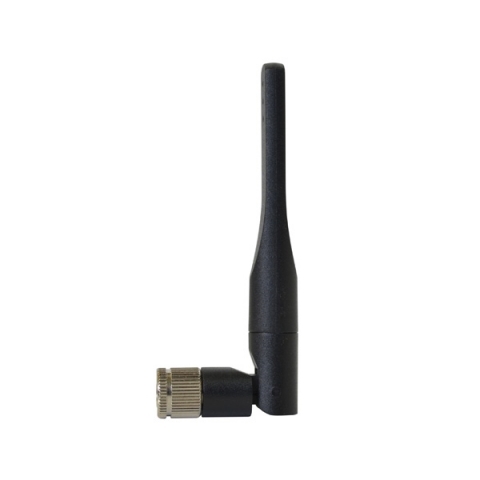 The Home 4G kit works for most voice, 3G, and 4G networks in the US and Canada and can cover up to 1,000 square feet with boosted signal. The kit includes everything you need to install the system and comes with a 2-year warranty. The Home 4G Desktop Repeater Kit is on sale now at 3Gstore! With most of our personal and business information being backed up to the Cloud, security is key in keeping your things private. You’ve probably heard of 2-step authentication for email and other web-based accounts. Not only do you have to log in once to provide your password, but to combat against attackers, you then must enter a secondary password or code before you can access your information. For those of you using Dropbox, you’ll be pleased to know that they are now taking security to the next level. They have added support for USB-based keys, which make it harder for hackers to access your account. Dropbox had originally provided two-factor authentication back in 2012, which was put into play after stolen passwords led to a spam attack. Dropbox is using something called Universal 2nd Factor (U2F). This has security keys that are an extra option for two-factor authentication. Instead of using some sort of application on your smartphone to generate codes (i.e. Google Authenticator), you can insert a key via your device’s USB port once your Dropbox password has been entered. According to a blog from Dropbox, "Unlike two-step with a phone, you'll never have to worry about your battery going dead when you use a security key...Security keys provide stronger defense against credential theft attacks like phishing. Even if you're using two-step verification with your phone, some sophisticated attackers can still use fake Dropbox websites to lure you into entering your password and verification code. They can then use this information to access your account." They continued on to say, "Security keys are designed to protect against these types of attacks. By using cryptographic communication, they will only work when you're signing in to the legitimate Dropbox website." Now, how does one get this extra security setup? Dropbox has created a guide to walk you along the process. Be aware that as of right now, U2F only works for Dropbox.com via the Chrome browser. If you're signing in from a device or platform that doesn't support U2F, you can use two-step authentication through text message or an authenticator app. New from Peplink, the AP One Enterprise is designed for the most demanding environments. With 3x3 MIMO simultaneous dual-band ac WiFi, the AP One Enterprise can transmit data at up to 1750Mbps! The AP One is an Access Point, designed to extend an existing WiFi network while preserving the DHCP range of your primary network. This means you can use an access point to extend an existing WiFi network and preserve file sharing. Access points do not feature WAW (WiFi as WAN) and require a stand alone router to give them Internet access. APs are great when you need to bring WiFi coverage to a new area, provide better coverage than a routers built in WiFi can offer, or to add significant features to the network. The AP One Enterprise doesn't fall short in the feature department. The AP One works with ANY router as long as you can connect it to the local network by ethernet. The AP One Enterprise can create up to 16 unique SSIDs, each with their own passwords, bandwidth controls, and firewalls. 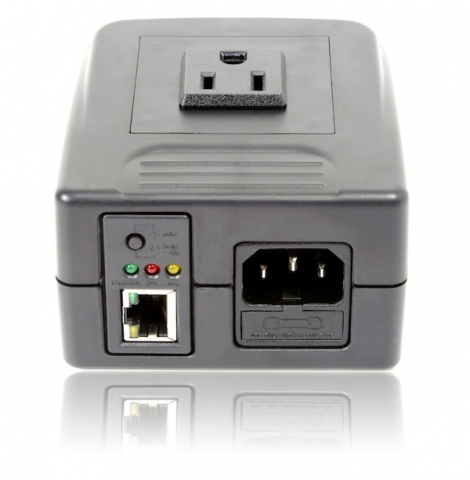 Built in PoE (Power Over Ethernet) means the AP One Enterprise can be easily installed anywhere without the need for a nearby power outlet. Designed for ceiling mounting, the AP One also gives you significantly greater coverage potential than a routers built in WiFi. The AP One can also be managed by InControl2, Peplinks cloud based management tool. Expanding on on that, the AP One offers Social WiFi Hotspot capability. This allows guests to login to your guest WiFi networks with Facebook. In exchange, you learn about your customers with reporting through InControl. 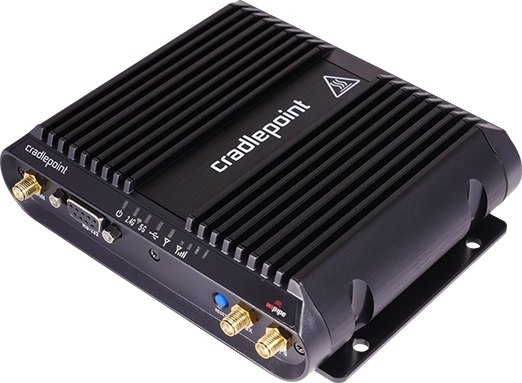 Congrats to Quentrell G. of Fort Lee, New Jersey who just won a $25.00 Restaurant.com gift code for writing a review for CradlePoint MC400-ARC Multi-Band Verizon 3G/4G Modem for MBR1400/CBA750B at 3Gstore.com! Every week we randomly pick one product review from the previous week and award the writer a $25.00 gift code. We appreciate ALL the reviews our customers write, whether they are positive or negative - honest reviews like Quentrell G.\'s help other customers decide if the product is right for them. After you purchase a product from 3Gstore.com, we encourage you to log in and 3Gstore.com and leave a review letting people know how the product worked for you - you'll be helping others, and you'll automatically be entered to win a restaurant.com gift code!. 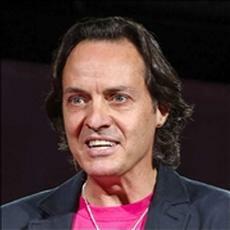 The Un-Carrier T-Mobile and its CEO John Legere have finally surpassed Sprint. That is, at least according to the latest quarterly earnings report they’ve filed. 58.9 million subscribers were claimed by the now 3rd largest carrier in the U.S, which just barely beat out Sprint who reported 56.8 million subscribers. 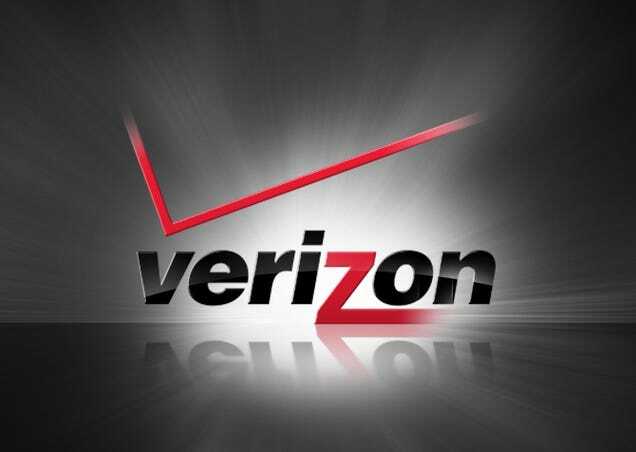 Although, back in February CNET pointed out that Sprint may have already been beat due to inactive customer accounts. For the last nine quarters, T-Mobile was adding at least 1 million subscribers each time, and 2.1 million in the last 3 months. Clearly, customers are liking the lower prices and additional features the carrier offers over the other 3. Let’s just hope they keep it up and keep expanding their network coverage. After all, they’re still a long way from AT&T who is in first place with 121.7 million subscribers, and Verizon who reported 108.2 million. The IBR1100/1150 promo is valid through September 30, 2015. Is is the customer's responsibility to submit the rebate form and any other necessary documenation to Cradlepoint by October 31, 2015. See the rebate forms for full details. 3GStore wows me again! They know more about how my Netgear Zing works than Sprint. The Zing lacks in output signal strength but with this Omni Antenna, my Pepwave Surf Soho can capture the signal while positioned in a different room, giving me better overall signal throughout the house. Thanks again 3GStore for hooking a sister up!